From small dental or orthodontic practices to the largest labs, Dental 3D Printers can provide faster turnaround, smoother workflow, and ultimately, happier customers and patients. Move into digital dentistry with industry leading 3D printers from Stratasys. Combine accuracy, capacity, and bio-compatible materials into a seamless digital workflow that will increase your labs efficiency and profitability. Not sure which system would be a best fit for your lab? Speak with one of our dental industry experts or download our dental 3D printer buyer guide. The Stratasys Objet Eden260VS Dental Advantage 3D printer is the designed to meet the needs of your growing lab. It combines high resolution PolyJet technology with greater speeds and a larger build envelope to promote greater throughput. Give your lab a dental advantage with advanced 3D printing technology. The Stratasys Objet260 Dental™ 3D printer is an affordable, yet versatile dental system that uses triple jetting PolyJet™ technology. The Objet260 Dental streamlines digital workflow by practically eliminating material changeover by printing in your three most commonly-used materials at once. This allows users to produce patient-specific models and surgical guides in up to three different acrylic resins, in one single job! The Stratasys J700 Dental 3D printer is the first 3D printing solution dedicated to the production of clear aligners. This high speed and high accuracy system produces high quality, high resolution and repeatable arches for clear aligners with unmatched throughput. The Stratasys Objet500 Dental Selection 3D printer is the designed to meet your demanding production needs. 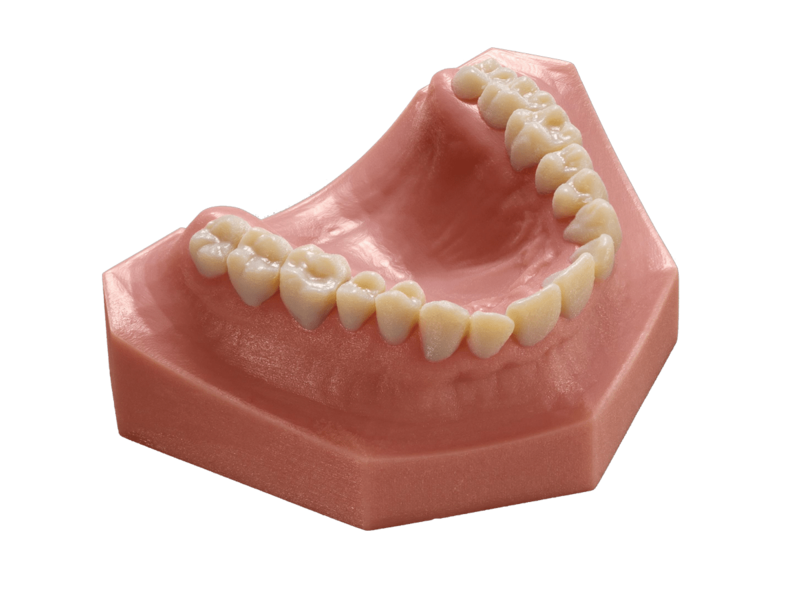 With the largest available build tray, along side PolyJet technology you can easily produce large quantities of high quality dental and orthodontic models.